Fresh meal options for premium-cabin customers on United Express flights, beginning in 2015. 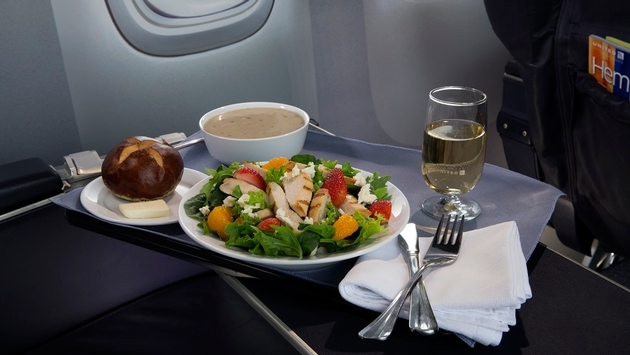 This month, United began offering customers in premium cabins on North America flights four new salad entrée choices – a Southwestern salad, an Asian-style noodle salad, seasonal greens with roast beef and blue cheese salad and a Strawberry Fields salad – replacing the previous chicken and shrimp salad options. In September, premium-cabin customers on flights within North America will enjoy new chilled sandwiches and wraps – Italian prosciutto on tomato focaccia, a Thai-style chicken wrap, Cobb salad wrap and caprese on Asiago baguette – as well as new warmed options – turkey and Swiss on cranberry baguette, ham and Swiss on pretzel baguette, chicken and mozzarella on tomato focaccia and roast beef and cheddar on Asiago baguette. Designed by United's team of chefs, the new salads and sandwiches will be made fresh daily and paired with a gluten-free soup, along with United's signature service elements, including warmed nuts, premium snacks and warmed cookies. On transcontinental flights and on longer mid-continental dinner flights, the airline will continue to offer customers a choice between a pasta dish and a chicken or beef option. 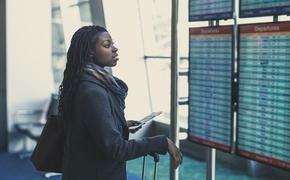 "These changes mark the beginning of an extensive overhaul of our North America and international food service, offering travelers a level of service above that offered by our peers," said Lynda Coffman, United's vice president of food services. "Our new selections offer customers more of what they tell us they want when they travel – variety, bold flavor combinations and higher quality." Beginning this fall, United will add Prosecco sparkling wine to its premium-cabin beverages on mainline North America flights. Significantly enhancing United Economy meals and beverages on long-haul international flights. United offers in-flight meals and snacks depending on flight duration, departure time, origin and destination. Specific breakfast, lunch and dinner parameters are available at united.com.